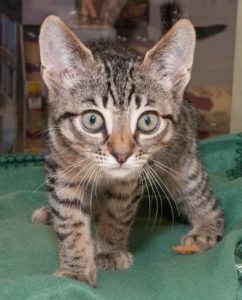 Penny is an adorable brown tabby born in March 2016 that was rescued with her sister from a rough start in life. 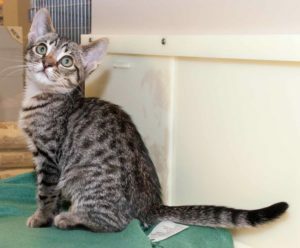 Vetted and home fostered, they have both grown into beautiful, friendly girls who love to be petted and cuddled. All they need now is a loving forever home. Come meet Penny and make room in your home for this darling (and maybe her sister, Goldie, too)!